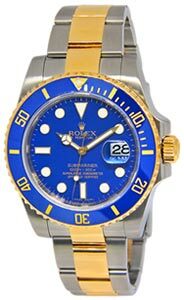 Excellent preowned mens Rolex Submariner (ref. 16610; A-series 1999) in stainless steel features black dial and black bezel. Retail: $8,550.